Born and bred in Cornwall, Rod Lyon was trained as a civil engineer, and although spending some early years at sea, he worked until retirement as a Local Government Officer. His involvement in Cornish matters revolves mainly around the furtherance and strengthening of the language, which includes work on the radio and writing. He is a former Grand Bard of the Gorsedh Kernow. 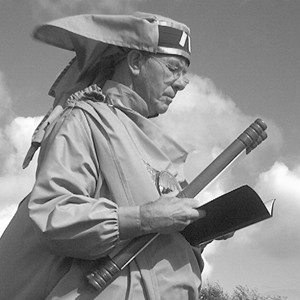 He sits on the Cornish Language Board, the Cornish Eisteddfod and various committees within and associated with the Gorsedh Kernow. Rod is a presenter on BBC Radio Cornwall.